For the American Tourist... see original article here. 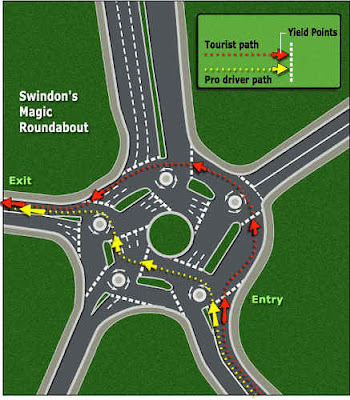 Would it be so hard to shrink up the roundabout and just put in a five way light? It couldn't be any slower than this monstrosity.